This past week has been a week with more challenges than what I wanted. I think we are all tested everyday but I was just hoping for a break with another challenge would present itself. I really try to do my best to center myself when things are difficult. To simply sit in silence and wait for the answer to come from above. However in one of the moments of craziness around here this past week, I did not sit in silence. Instead I just let all my feelings flow over and run out of me. It wasn't the best thing to let happen. I kinda lost myself in those moments. I said things I was not proud of, I acted like a person with no self control and I simply let my ego take over. It happens to all of us doesn't it!? We get upset about something and instead of handling it spiritually, we let the ego take over and cause even more pain. Nothing done in a ego based sense will ever feel good. In fact, it causes more pain. I actually know better because I am aware of ego verses the soul. Both couldn't be more different from each other. I kinda look at it like the ego being dark and evil and the soul being light and loving. However in the moment of confusion, pain, or anger ( which is all really fear based ) I lost track of all the teachings I have learned through my life and just let that ego run the show. I went ahead and let it run wild inside of me. I guess it was the perfect excuse for how I was acting. But once things calmed in my heart and head....I was able to really see what my ego had done. It had pushed people I loved away. It had made me say things that I really didn't mean. It allowed me to say anything I wanted without worry or repercussion. The sad thing was, none of that useless chatter really helped. It just made things worse. I still had to cope with what was bothering me so much. I could point to this person or that person and place all the blame on them but that didn't solve how I reacted. It made NO DIFFERENCE AT ALL. It easy to say how spiritual or enlightened you are but its much harder to walk that path. Simple reflection showed me everything. Bad actions don't make you feel better long term. It only makes you feel better in the moment. But instead of beating myself up over it, I choose to thrive instead of it. I think that learning from the bad experiences is priceless. Lessons don't really come from the easy stuff. All the big lessons of your soul comes in the hard times. For me, I can't always see the lesson in the moment. I see the lesson when my ego is in check and I am in a calm quiet place. When I can really look back at my own actions without that stupid ego of mine getting in the way. Really it's letting go, giving it to God and finding out how you could have done things better. I learned that my harsh feelings were just based out of fear and that fear was the driving force in all of it. Most of the time anger and hurt are fear based. And when you realize that and deal with what is scaring you so much...you can really start to heal. I fail.. I try. I fail.. I try again. God is in charge of it all. It's all his plan and his timing. 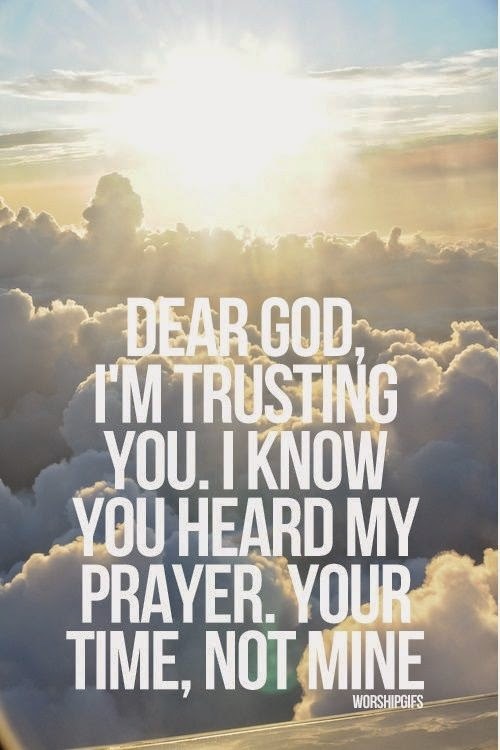 I find putting my trust in God and his timing is very comforting to me. Maybe I was suppose to act like a fool that day in time so I could really learn the lessons that are helping my soul grow and develop. But I think the real lesson is learning to not have those moments when the ego takes over the soul. 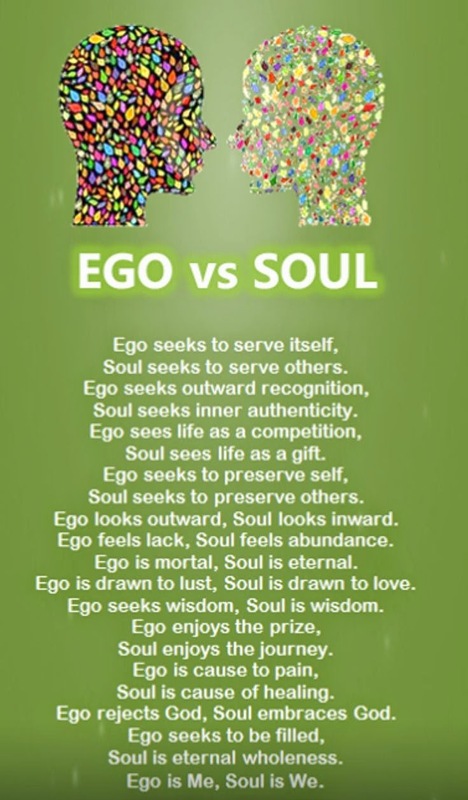 Its a nasty fight between the two but with practice, you learn to make that ego go away and live in the light. 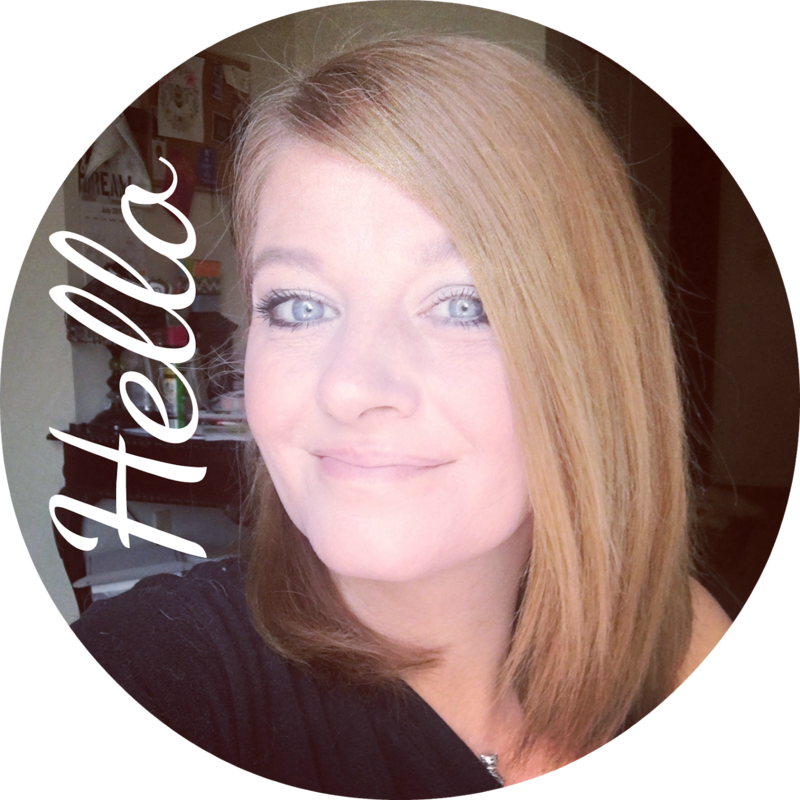 My hope for myself as well as all of you reading this blog post, is we all work harder in controlling the ego and letting our true spirits shine through. If you woke up today or wake up tomorrow on Monday, you have a fresh start to try again. Lets not waste the time. We have to fight for life. We have to fight to keep the ego down. We have to let our divine spirit flow through us and show in everything we do. Even in the hard times. ♥ I hope you have a beautiful and blessed Sunday.